Technology is a key driver of retail profitability. Today’s consumers expect nothing less than real-time product availability and location data. 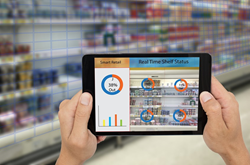 A NYC area IT consultant and MSP reviews the IoT inventory management technologies behind today’s seamless, multi-channel retail customer experience in a new article from eMazzanti Technologies. The informative article describes the forces driving the need for better inventory management and shows how radio frequency identification (RFID) asset tracking enables real-time inventory capabilities. The use of smart shelves and analytics to predict demand are also discussed.